Over 1/2 Acre in Madison!Cul-de-Sac!4 Bay Garage - 1 Front Facing Bay over 28ft. for Boat Storage, 3-Bay Over Sized!Isolated Master Ste W/Glamour Bath, Free Standing Tub!Isolated Guest Ste W/Bath-Both on Main Floor! 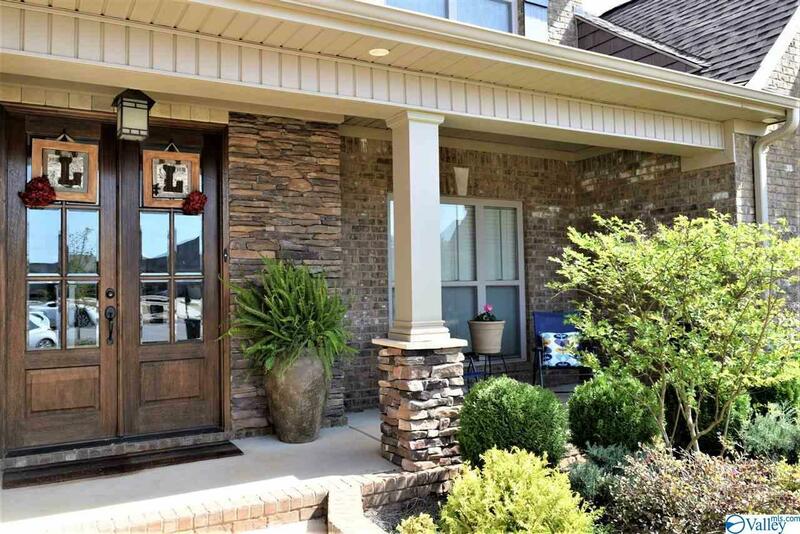 Gourmet Kitchen W/Pot Filler, Upgraded Appliances, Pantry, Granite, Hardwood & More!Great Room W/Glorious to the Ceiling Stone Fireplace W/Built-ins!Upstairs - Wonderful Loft perfect for Reading Nook, Study, Music-you Decide! Bonus Room - make yours--Media, Game Room, Exercise.....Entertaining is wonderful around your Outdoor Fireplace!Fenced Yard! Great Fun to take Family & Friends to Neighborhood pool & Clubhouse. Conv. to Madison Schools, Red Stone Arsenal, Bridgestreet, Airport!